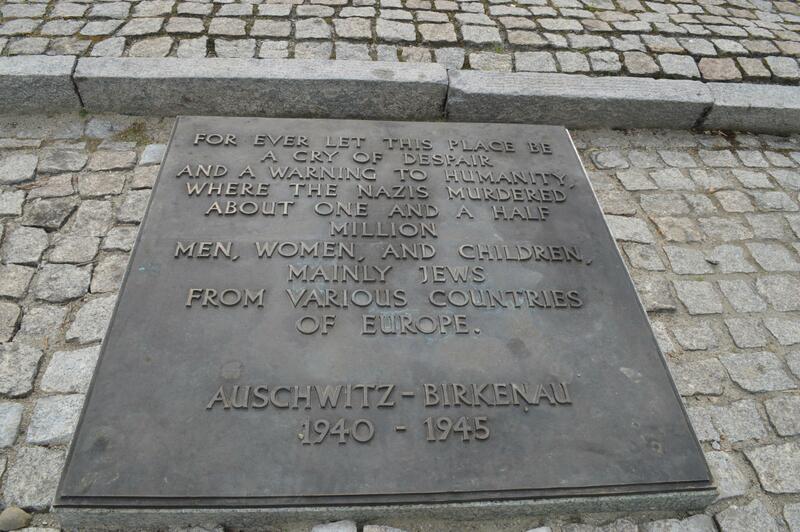 Auschwitz was the largest Nazi concentration camp where over an estimated 1 million people were killed (the actual number of victims is impossible to know since not everyone had records who entered the camp). Hitler and the Nazi state were determined to eliminate their enemies including Jews, homosexuals, mentally and physically handicapped, gypsies and others that they saw as unworthy to live among them. Auschwitz was liberated on January 27th, 1945, but stands today as a monument and museum where over 1 million visitors come a year with increasing numbers. When we first arrived into Kraków at the train station we went to the information desk to find out if we needed to purchase bus passes there and other information (which I fully recommend when you arrive into a new country, all stations so far have had them). We ended up buying Auschwitz museum tickets at a discounted price (not huge discount, but definitely better than online). This ticket included a ride on a bus to and from Auschwitz. The bus driver picks you up at the hotel or hostel you tell them to and drops you off at the same location. There were several places that had discounted tickets with transportation included. I completely recommend this, no hassle with figuring out how to get there and no paying for parking, gas, rental etc. We were heading to the hotel where the pick up we had scheduled was (about 20 min. from our Airbnb) and realized we had forgotten our tickets. If you’ve been traveling you know the gut wrenching feeling when you forget something very important. We started thinking of all the possible options. We ended up walking to our bus and asking the driver. He said it was okay and had us get on. Pablo was relieved at this point, but I was not. Transportation employees so far had given us the “sure, whatever, just get on the bus and give money.” They haven’t seemed to be able to speak English, or care what predicaments people are in. 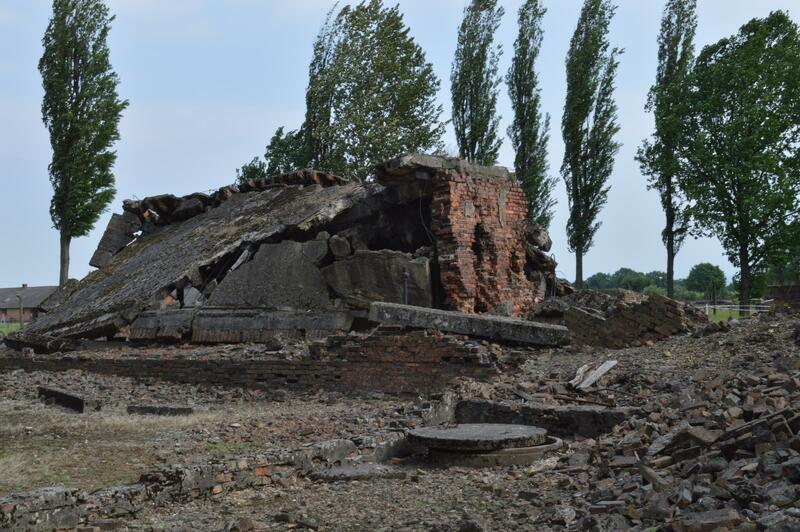 However, we got to Auschwitz and no one asked for a ticket from us. The fact that we came off the bus gave us the right to have a tourist badge. We felt so relieved and hopefully we learned from this experience. When the Jews were brought in to Auschwitz the Germans used cunning deceit to bring them to their demise. 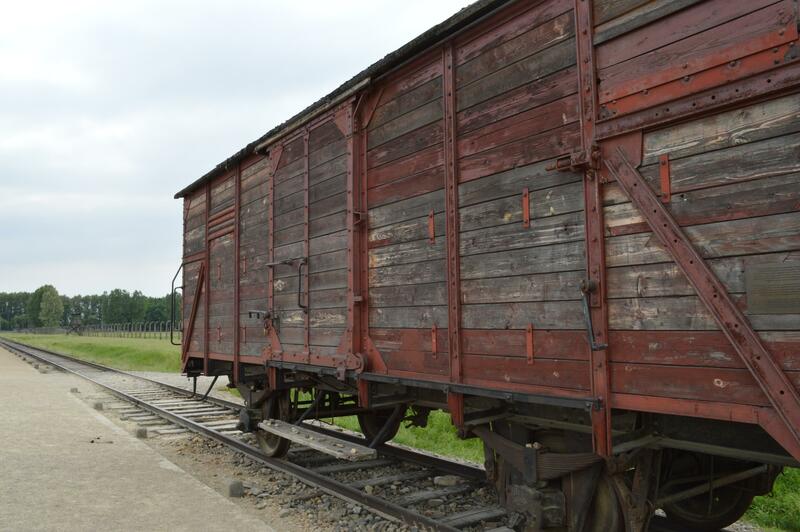 The Jews were told that they were being relocated, that they should pack belongings, and walk with their children in their arms to what they thought were showers when they had arrived to Auschwitz. I must admit that Pablo and I had a fleeting thought of how we too were being marched into Auschwitz under the impression that we were going on a tour, and to a small scale I understood how easily the Jews could have been led to believe that what they were being promised was true. None of them knew yet of just how much evil human kind was capable of. 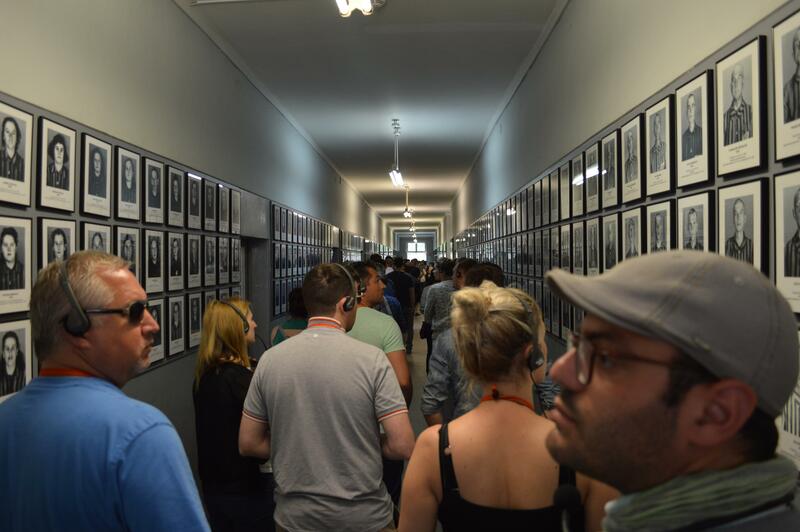 I had to wonder, while we were walking through the camp, why do we go to museums like this? Why do we learn about, study and take photos of such horrible incidents? Why else I suppose but to learn from it, as to prevent it from ever happening again. Our tour guide described the living conditions of the camp as “deadly”. 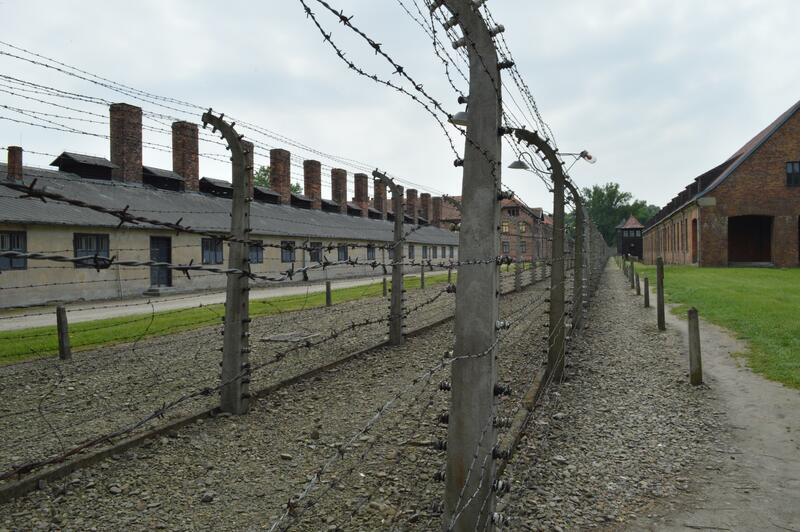 When the Jews and other inhabitants were marched to Auschwitz they were sectioned off, those that simply appeared unhealthy were sent directly to the gas chambers. Those that were healthy and strong were sent to live a few more months or so to work hard labor jobs under harsh conditions. The slogan- “Arbeit Macht Frei” – “Work Will Free You”, hung above the gates as false hope to the inhabitants. If you’ve been to Auschwitz what was your impression? Would you recommend visiting it to others? A very sad part of our history.